Ever wish you could find a good way to lube the door hinges on your old Benz? Maybe you have seen that little fitting wondering what it is, or maybe you have heard there is a special grease gun that can inject grease into that fitting? 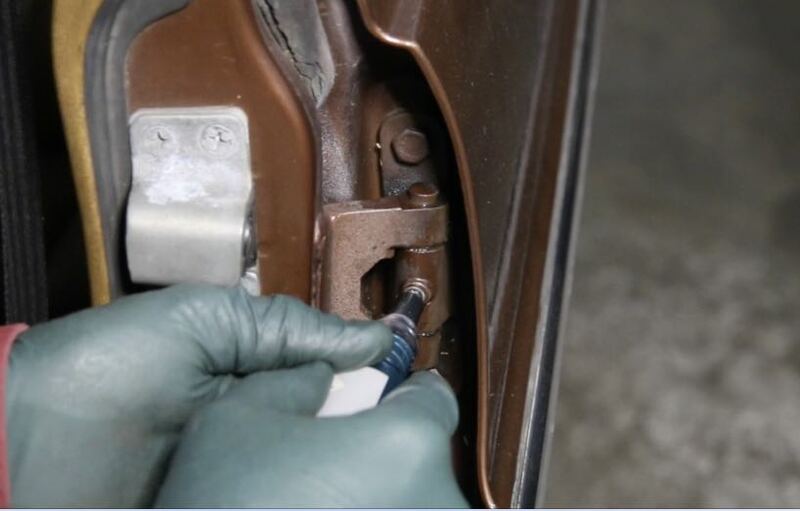 Now you can restore those old hinges to new car like operation with Kent's new door hinge and latch lube kit. Comes with specail grease gun loaded with grease and ready to go and complete 25 minute long video instructions. WARNING: The grease gun is hand operated and requires some force to push the grease through the fitting and into the hinge. 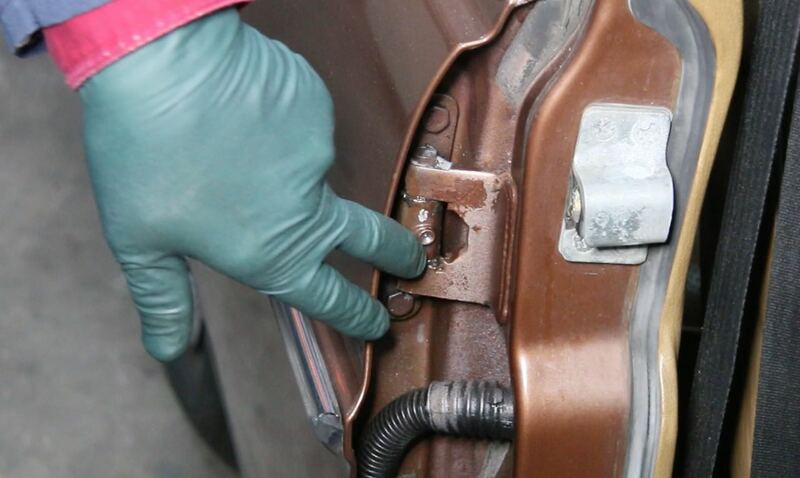 If your hinge is frozen up, stiff or rusting, the hinge WILL NOT accept the grease from the gun. The kit includes a special thin penetrating lubricant along with instructions on how to clean and prepare a problem hinge to accept the grease. Some really bad hinges MAY NEVER accept grease, but the thin penetrating lubricant in the kit will loosen up the problem hinge and keep it from binding or rusting again in the future. A special pin tool is included to help loosen up and clean out the small ball check valve in the grease fitting. BONUS: The kit also includes a special clear grease for lubricating the latch and centering pin mechanism. Instructions are included in the video on how and where to apply this grease. You will also receive some special cleaning and application brushes and two pairs of nitrile gloves.